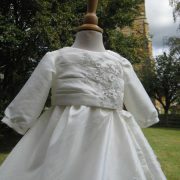 What a beautiful addition to the Little Doves Classic collection. 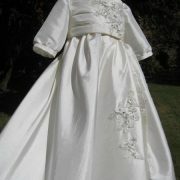 The Abi Christening gown combines style and elegance in equal amounts. 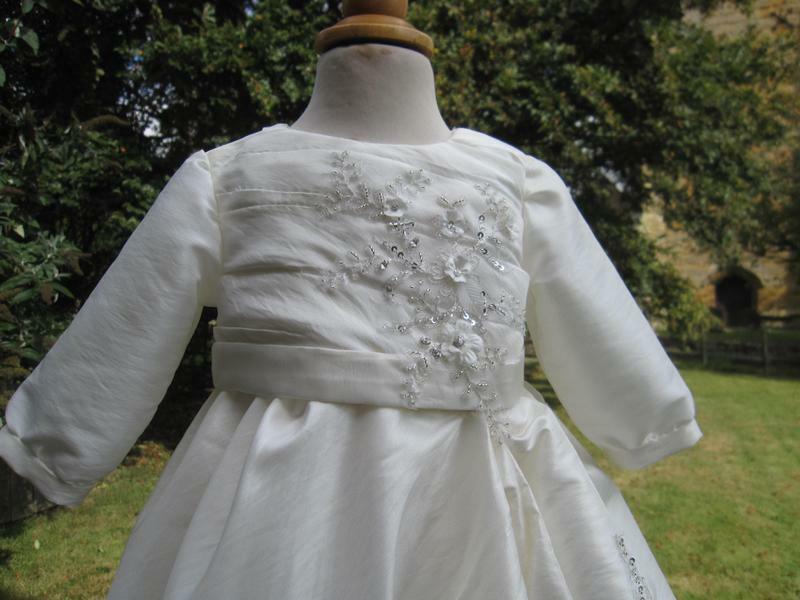 The graceful lines compliment the dainty applique flowers. 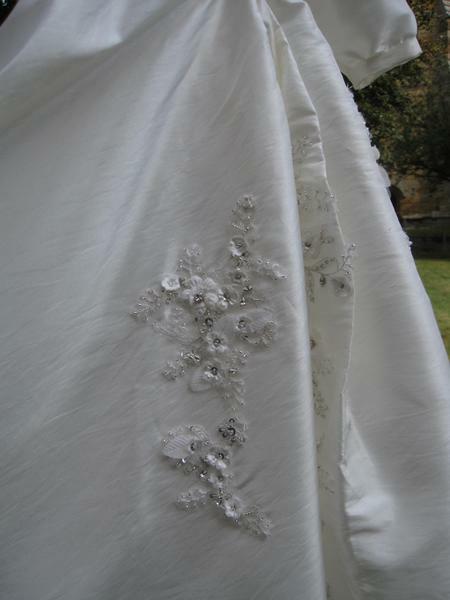 The bodice has some intricate pleating detail on both the front and the back. 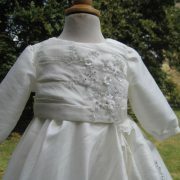 Small appliqued flowers have been added to give femininity to the design. 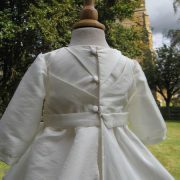 The back fastens with three small buttons. 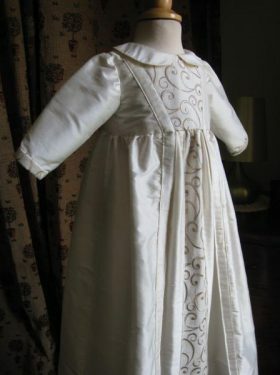 The sleeves are long but this outfit could also be created with shorter puffed or capped sleeves. This would make it more suitable for summer baptisms. 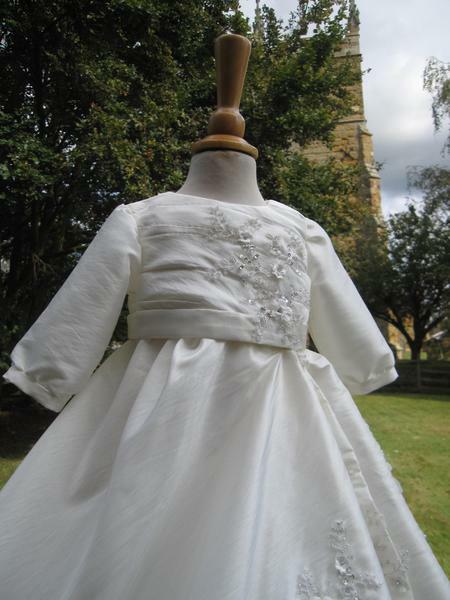 The skirt is fullsome but perhaps is shorter in style than some of the more traditional long Christening Gowns. 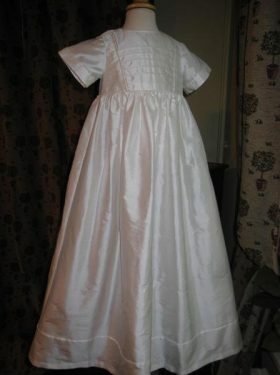 It has again some lovely pleating aspects to the style. 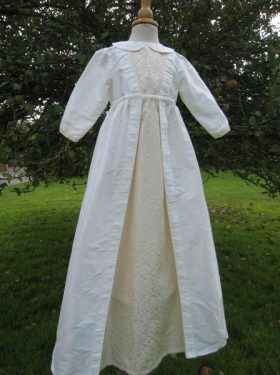 The original gown, shown here, is made from a mother's wedding dress. 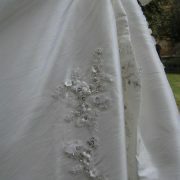 Abi is created from either white or ivory silk dupion with applique flowers. 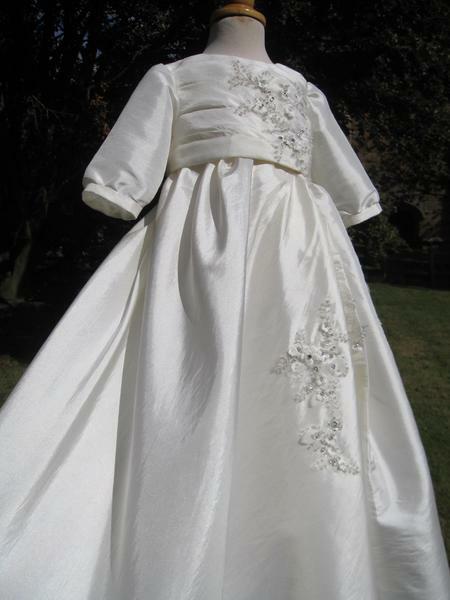 The bodice is gathered to great effect and the full skirt has pleating detail. 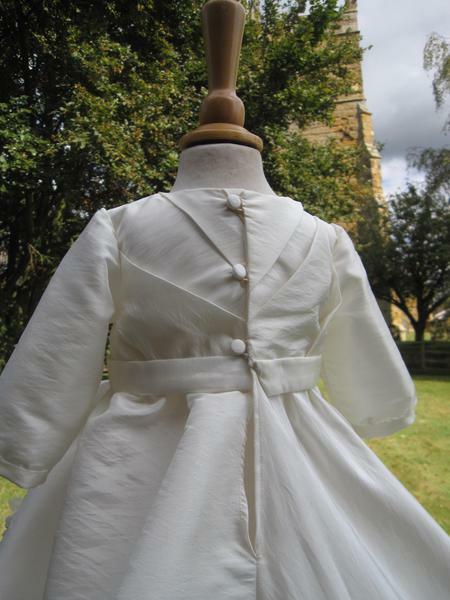 If you are seeking a modern look for your baby on his or her baptism then perhaps the Abi Christening Gown is the style for you! 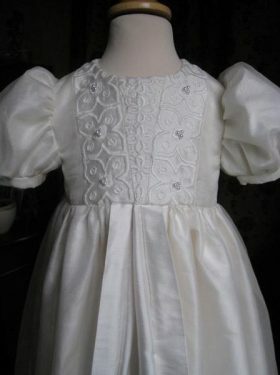 Matching caps, bonnets and booties can also be made to accompany the gown. These can be found in the accessories section.